From Bangkok to Ayutthaya, we will show you around this famous ancient city and get you to experience Thai culture and the local people. This is one of the most beautiful historical temple in Ayutthaya. It is located right along a canal and the view is impressive. Take a Tuk Tuk to Wat Pra Sri San Phet, Wat Phra Sri Sanphet is situated on the city island in Ayutthaya’s World Heritage park. 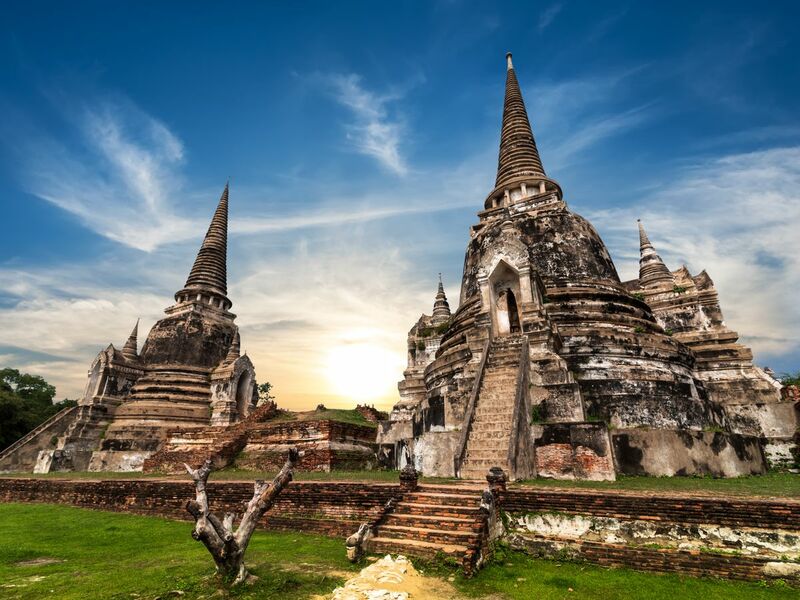 See the 3 majestic stupas which was the main royal temple in Ayutthaya period. Drop you off at your hotel and say goodbye. Hope you had a wonderful day! An awesome all-in-one trip in Ayutthaya. Visiting temples, strolling along the historical site, grab some local foods and see the amazing view of Ayutthaya on the River Cruise, learn Thai culture and Thai history. All the places I'm going to show you are both tourist attractions and local sites you shouldn't miss when you are in Ayutthaya. Strongly recommended for the first-time visitors! - Light and comfortable non-revealing clothes. - Sunscreen, hat, sunglasses for Ayutthaya’s World Heritage park.